One of the biggest nightmares of a pet lover...You are backing your car on the driveway, you hear you hit something. You come out and discover you hit a dog/cat. What to do? 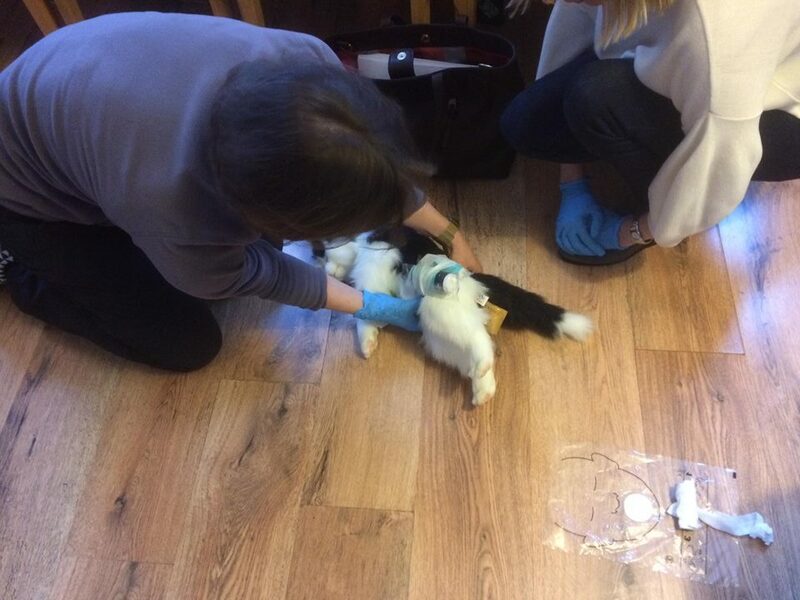 Or what if you have elderly dogs/cats, do you know what to do if they have a heart attack? Do you know what to do if your dog/cat suffers from heart stoke or frostbite? How about choking? They love to chew on random items lying around. What to do? 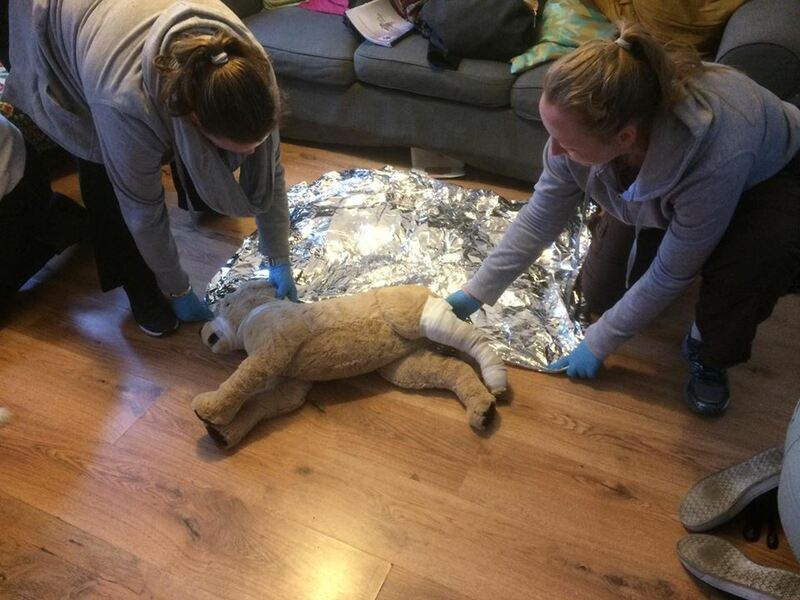 The Canine First Responder Course™ Curriculum is the only course approved by Emergency First Response - the largest certification agency worldwide for first aid and CPR training. You will be issued with an internationally recognised certificate upon successful completion of the course. 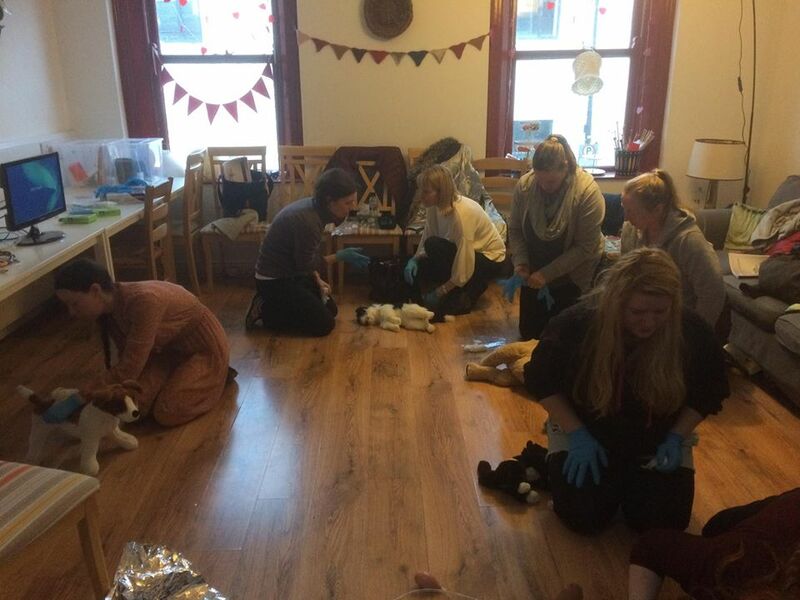 This is far exceeds some more basic 'first aid' courses out there and is the only course in Ireland to be fully accredited by the Veterinary Council of Ireland and supported by the Irish Veterinary Nurses Association. 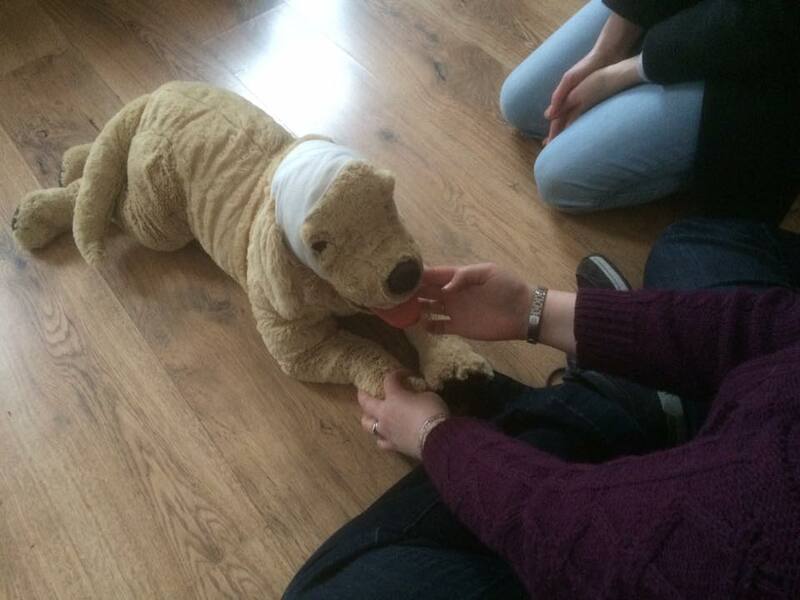 It provides realistic CPR practice on a canine manikin - Casper. (He even has a pulse!) 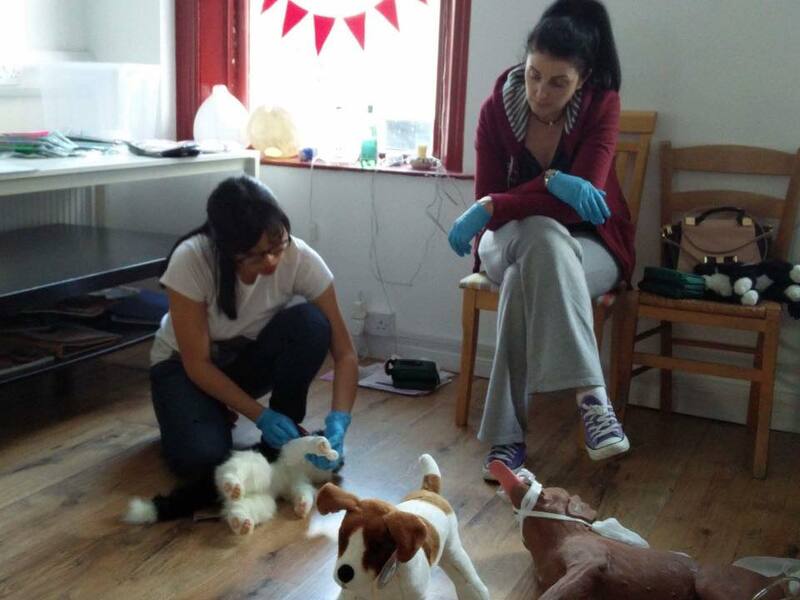 On top of the standard Canine First Responder course, Alice the cat behaviourist is going to give you extra tips on how handling cat situation to make an all round Pet First Responder course. 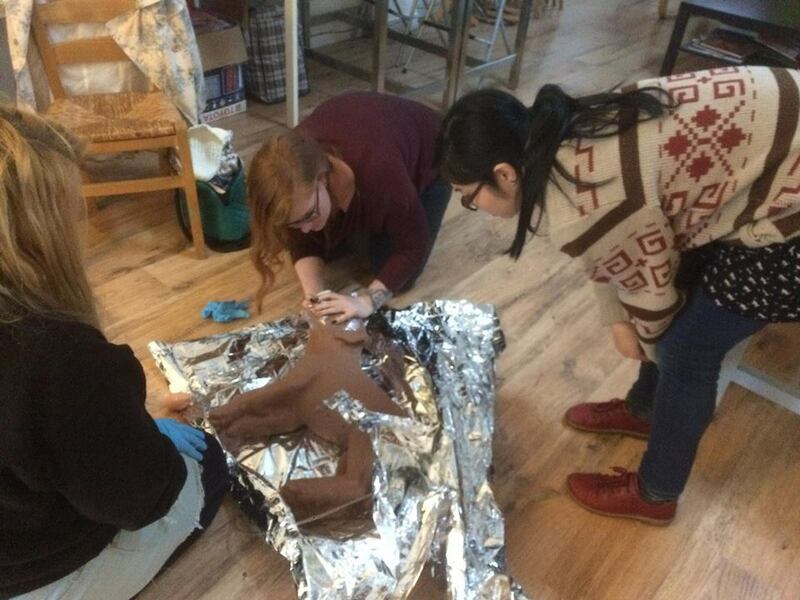 Class is limited to 8 students only due to the hands-on nature of the course. We want to make sure each student has enough time to practise on the pet manikins. 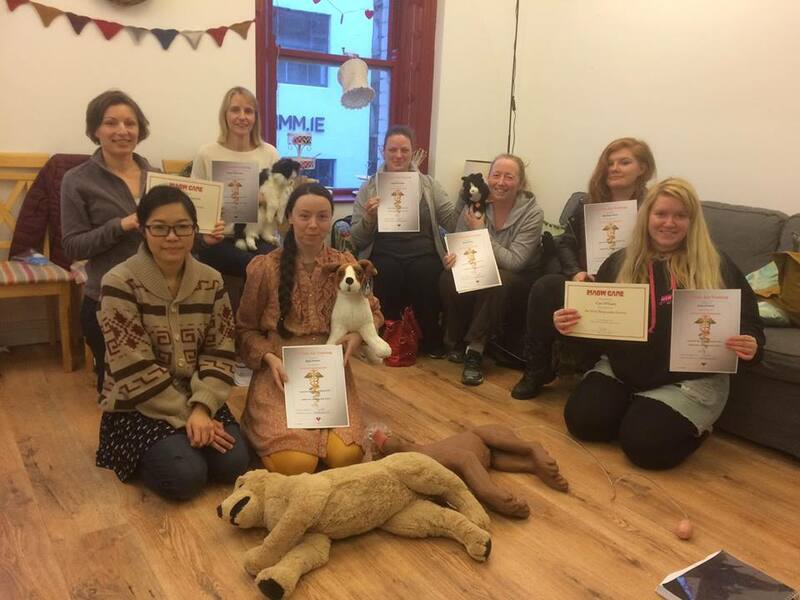 For cat lovers who wonder if this course is suitable to you. The answer is - Yes! 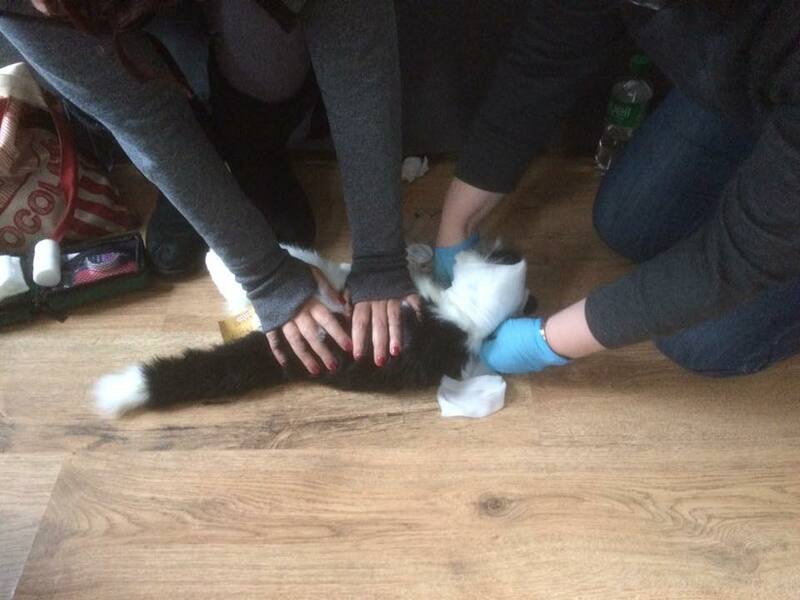 There is no recognised Feline First Responder course at the moment. The techniques performed on small dogs and cats are very similar. Alice will of course explain the difference when dealing with cats. 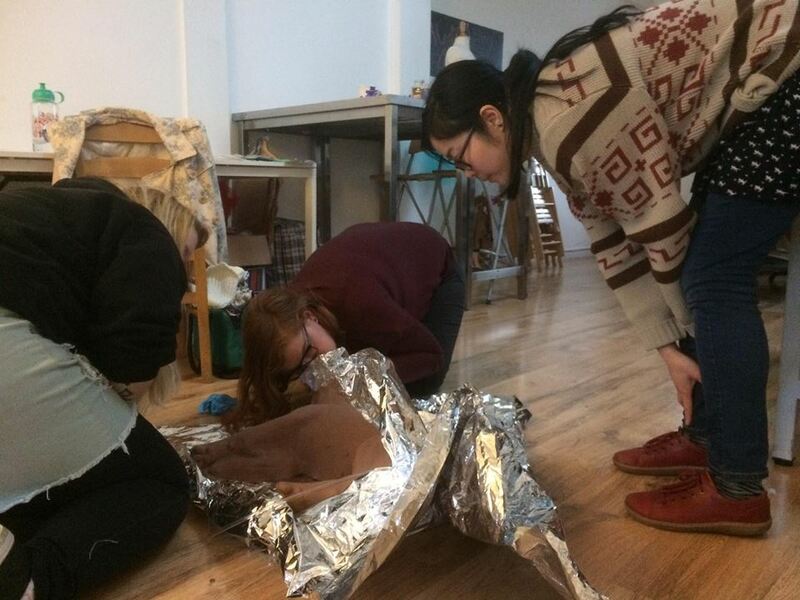 Plus, you can come across a dog collapse on a hot summer day and need your help! 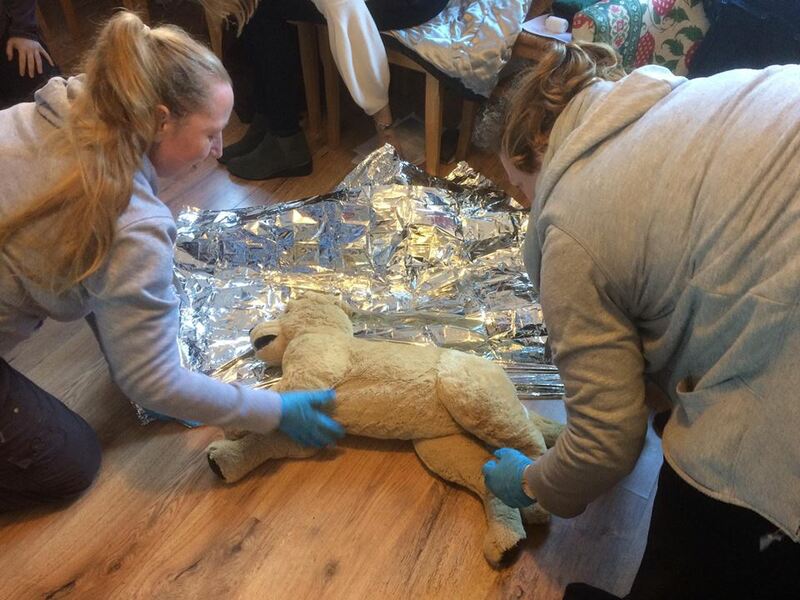 Burns, Poisoning, Hypothermia/ Hyperthermia And More….. If you are interested to this workshop, please fill in the form below, we will email you once our next workshop date is confirmed. Happy graduates of class February 2017! If you want to ask questions before you sign up, please send Alice an email below. NOW FULL! If you want to go on the waiting list for the next workshop in February 2018. Please click here, thank you! 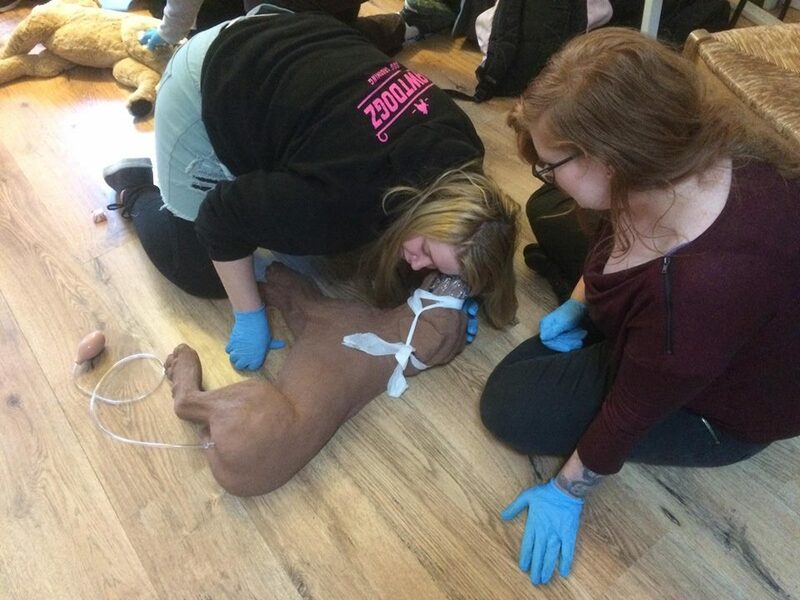 Do you want to learn Pet CPR? This is now a golden opportunity to do so! 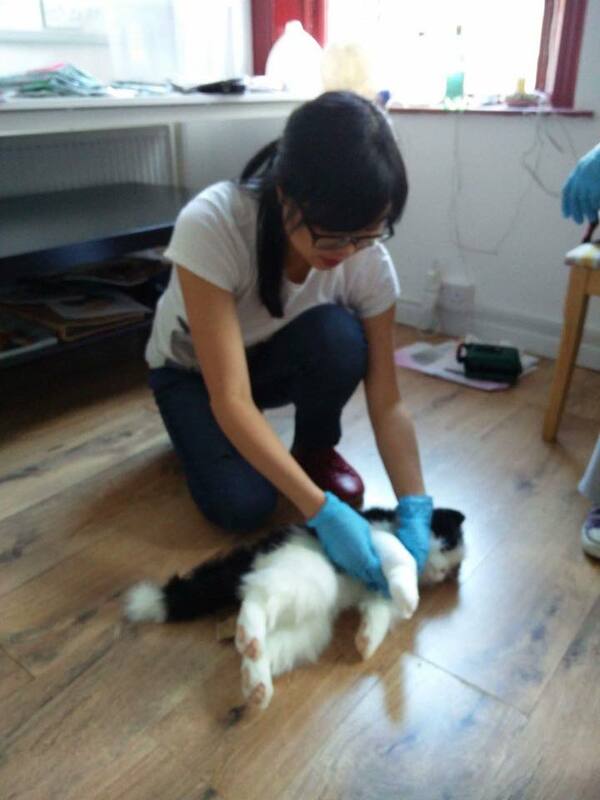 Alice Chau Ginguene is a Cat Behaviourist and Canine First Responder Instructor. She will be visiting Tallinn this summer. 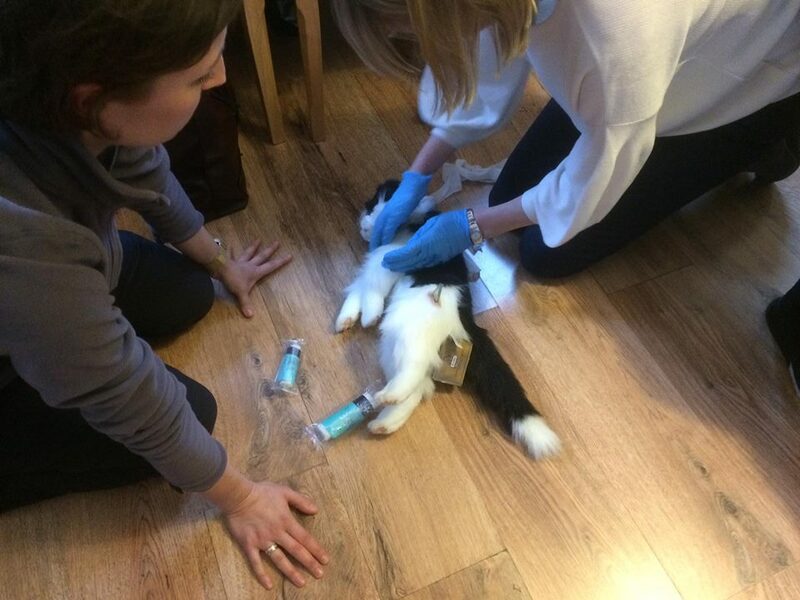 She will run a short half day workshop to teach you the most crucial technique to handle pet emergency. If you are interested in complete the full training to be a Certified Canine First Responder, there is also a possibility. You can attend the morning and stay the afternoon to do the additional learning. -Burns, Poisoning, Hypothermia/ Hyperthermia And More….. If you want to ask me any questions before you register, please send me a message below or call me on +353 873198534. 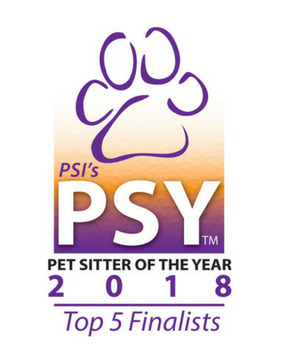 Pet CPR only - 3 spot left! 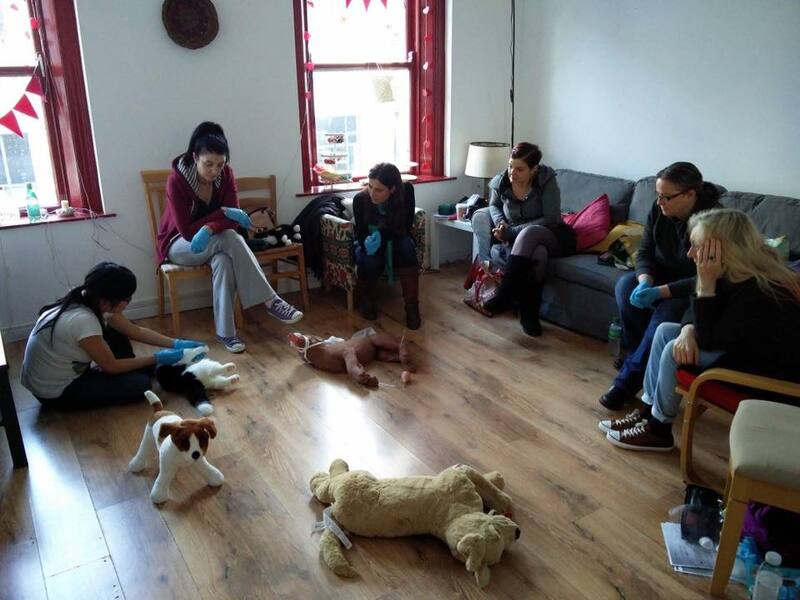 I got some enquiries from people asking if it is possible to learn just Pet CPR without doing the whole workshop. 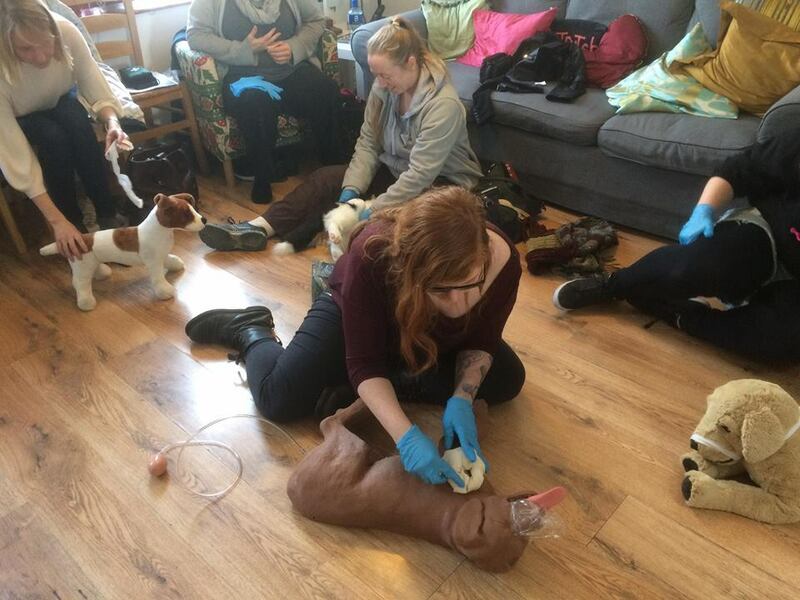 Some of you might be interested in doing the Pet First Responder workshop, but either due to lack of time or lack of fund, and wanted to do the workshop in two parts. 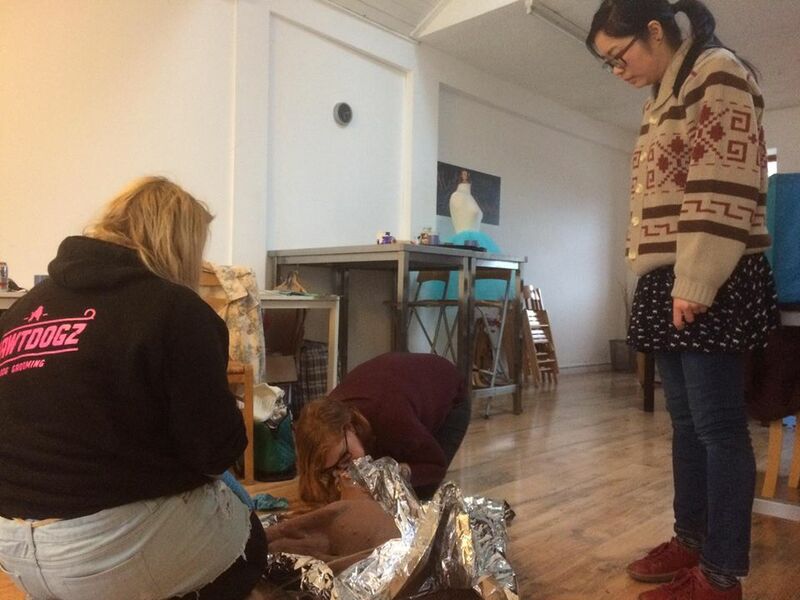 So yes, if you want to just do the CPR part of the workshop and do the First Aid part of the workshop later in the year or not at all, it's possible. 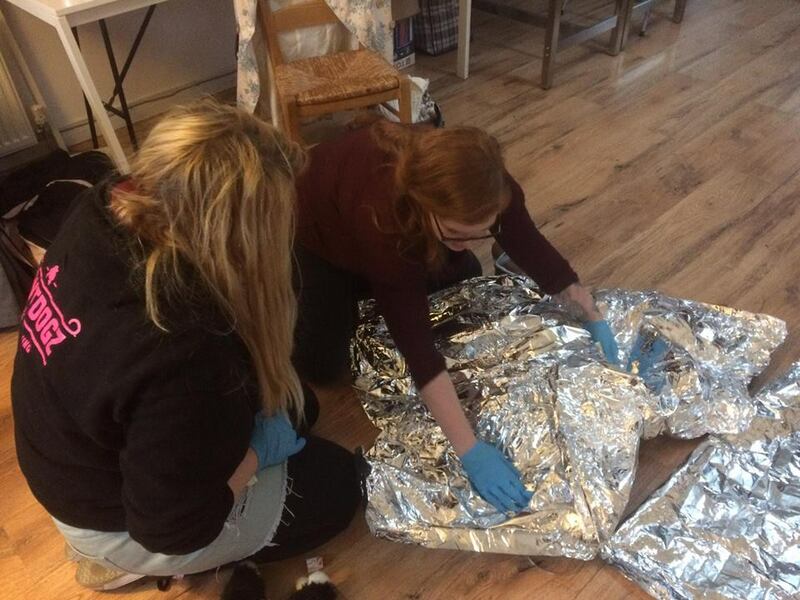 The Canine First Responder Course™ Curriculum is the only course approved by Emergency First Response - the largest certification agency worldwide for first aid and CPR training. 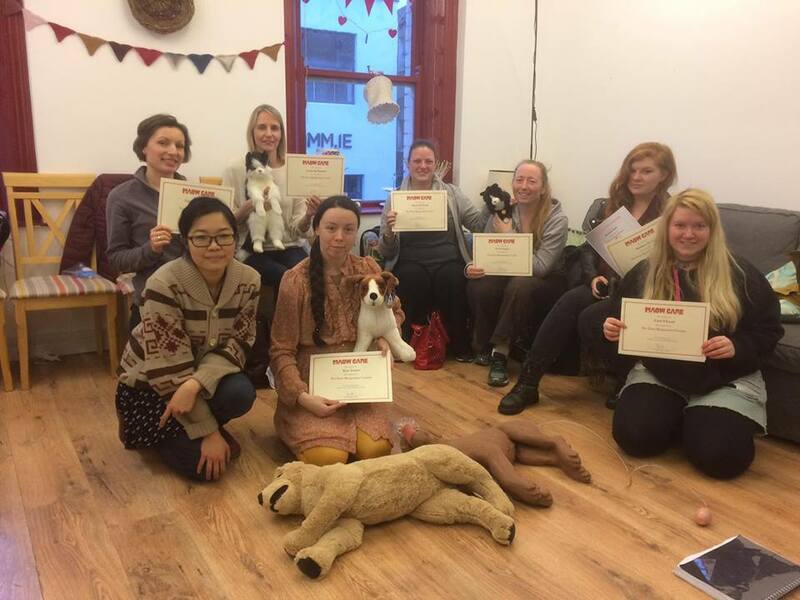 You will be issued with an internationally recognised certificate upon successful completion of the course. 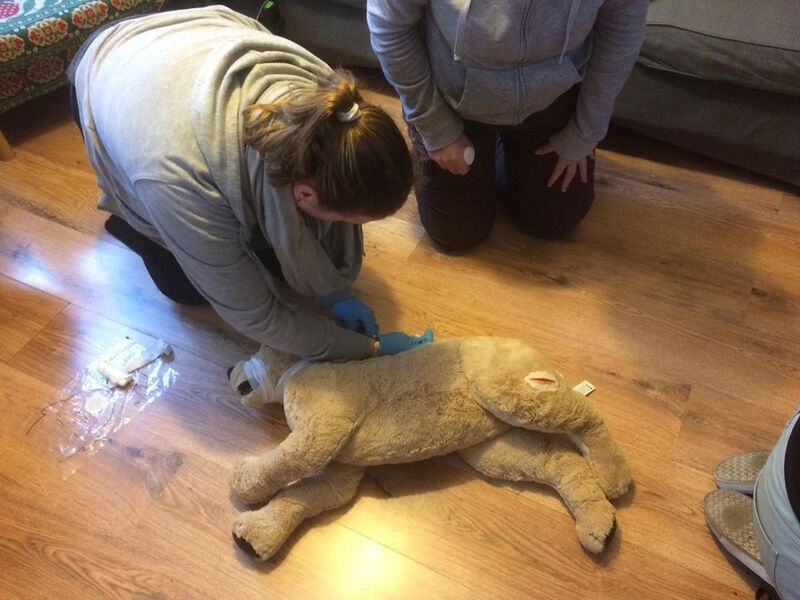 This is far exceeds some more basic 'first aid' courses out there and does provide realistic CPR practice on a canine manikin. (Alice has done her research before getting herself trained!) 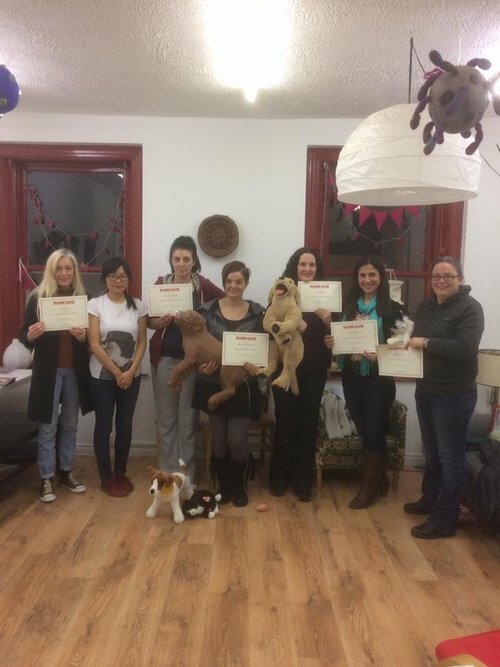 As a bonus on top of the standard Canine First Responder course, Alice the cat behaviourist is going to give you extra tips on how handling cat situation to make an all round Pet First Responder course. It is NOW FULL! The next one will be in July. If you want to be the first to know, email me on the form below, I will put you on a list so that you will get a notification before the public does. Thank you! I will get back to you as soon as possible. If you need my urgent assistance, please call 087 3198534. As of 9 November, one slot has opened up due to illness of one student. You can pay now below to secure the last slot! Thank you! Alice will get back to you within 24 hours. If you need her immediate attention, feel free to contact her on 087 3198534. You are just walking your dog. He is chewing on a piece of wood, a tiny piece break off and he started choking. What do you do? You are enjoying a country holiday with your dog and your family. Walking along a river, your dog loses her footing and fell into the water. You quickly pull her back out, but she stops breathing. You are an hour from the closest vet facility, what to do? You are backing your car on the driveway, you hear you hit something. You come out and discover you hit a cat. What to do? You have elderly dogs/cats, do you know what to do if they have a heart attack? 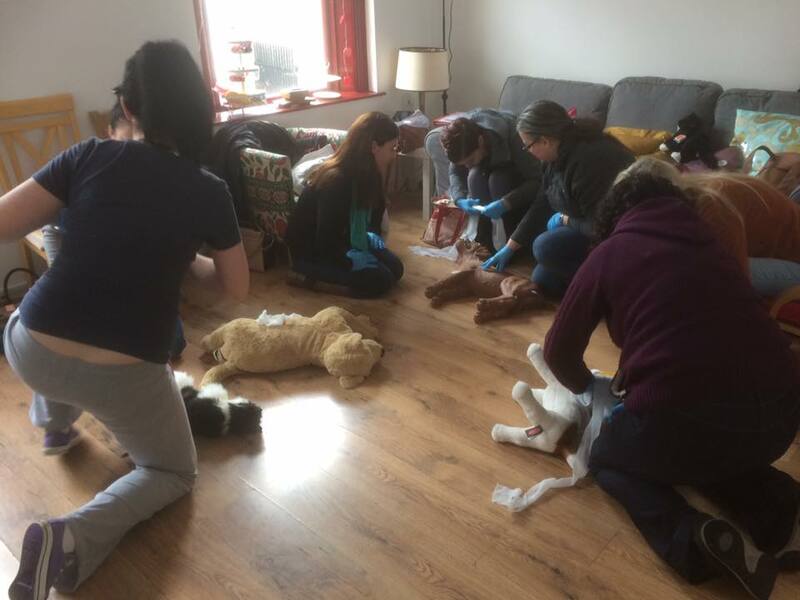 The Canine First Responder Course™ Curriculum is the only course approved by Emergency First Response - the largest certification agency worldwide for first aid and CPR training. You will be issued with an internationally recognised certificate upon successful completion of the course. 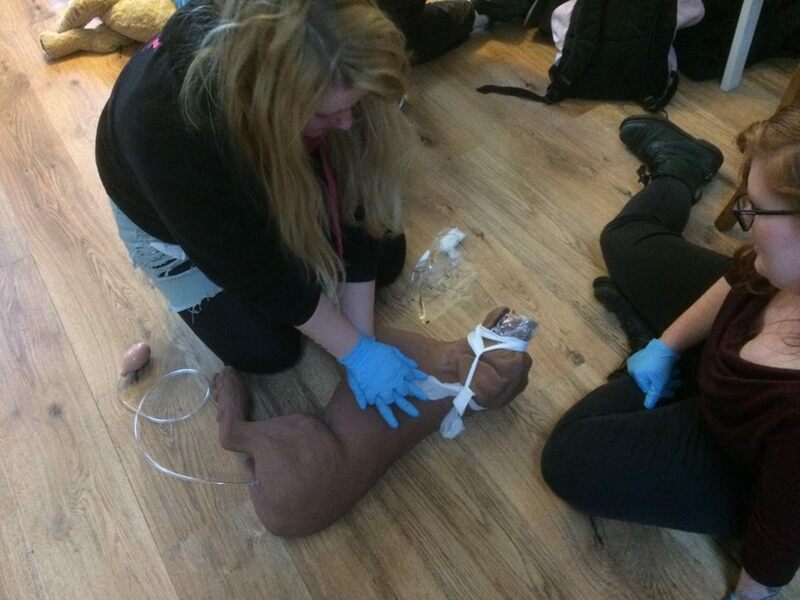 This is far exceeds some more basic 'first aid' courses out there and does provide realistic CPR practice on a canine manikin. 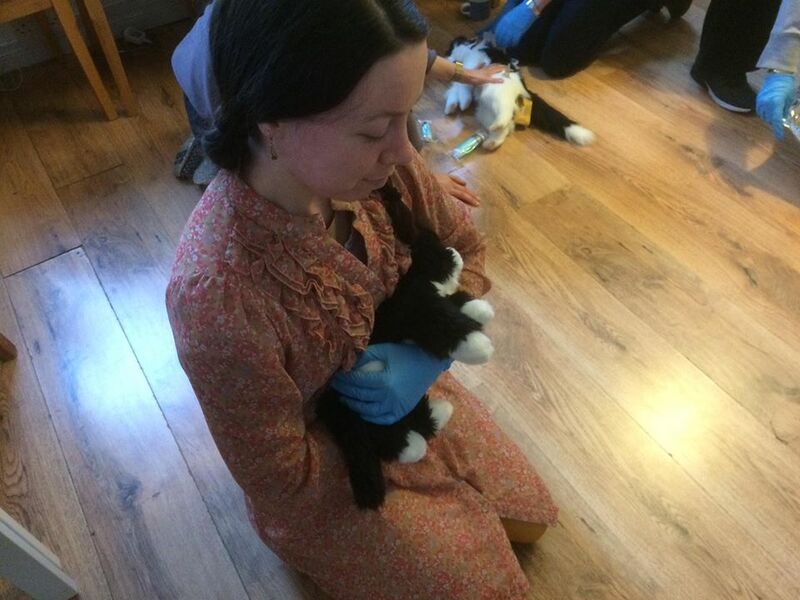 As a bonus, Alice the cat behaviourist is going to give you extra tips on how handling cat situation. 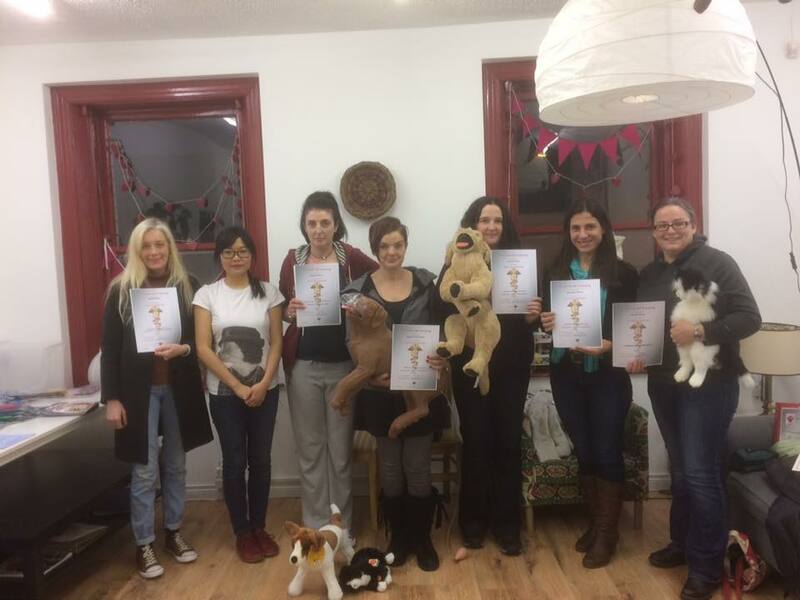 Alice Chau Ginguene is a certified Canine First Responder Instructor. 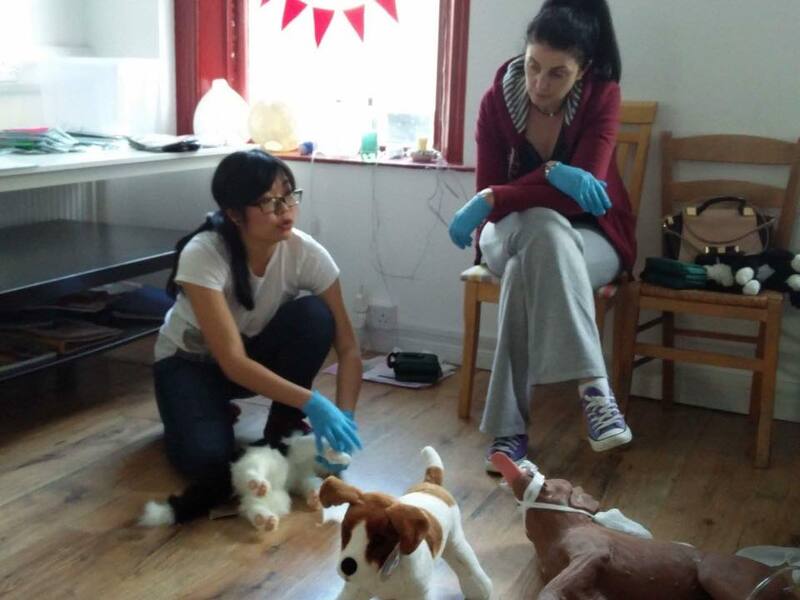 She has been working as a cat sitter and behaviourist for 7 years in Dublin, where she has been featured in numerous media in Ireland. To join this course, please fill in the form below, Alice will send you course information for home preparation and payment methods. For enquiries, you can contact Alice directly here or call the local organiser Helen on 5596 1960.